The quickest way to scan, fix and save old photos and postcards. 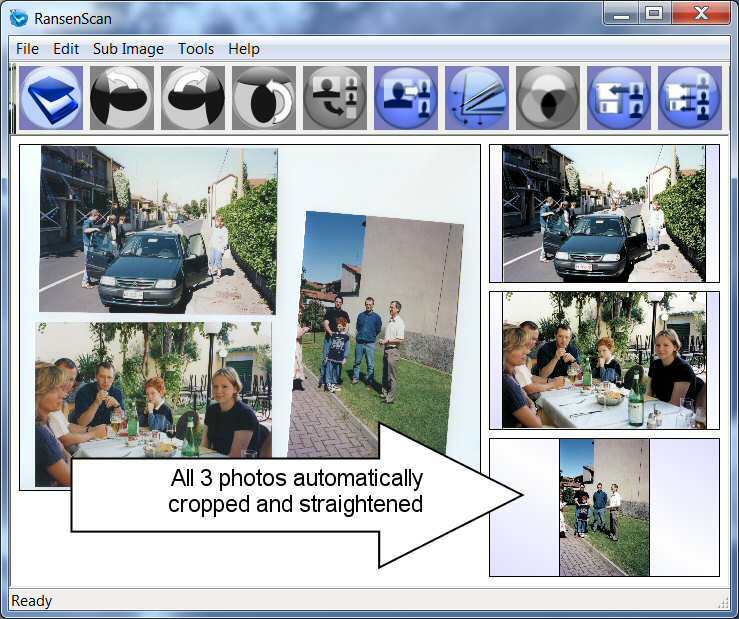 RansenScan's quick and easy interface allows you to scan, select, extract, crop, straighten, correct and then save the images in just seconds! RansenScan will create a list of sub images to the right of the main scanned image, as you can see above. 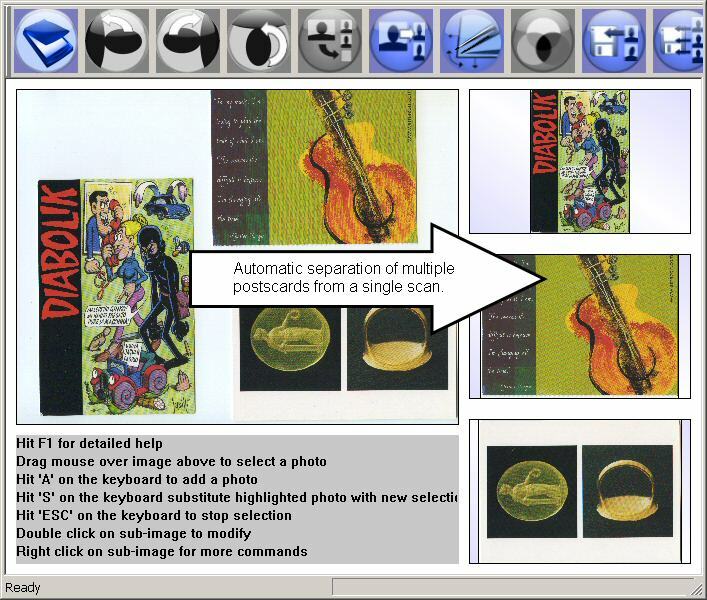 Then you can save each image to a file or copy it to the clipboard. Compared with Instant Photo Scanner.